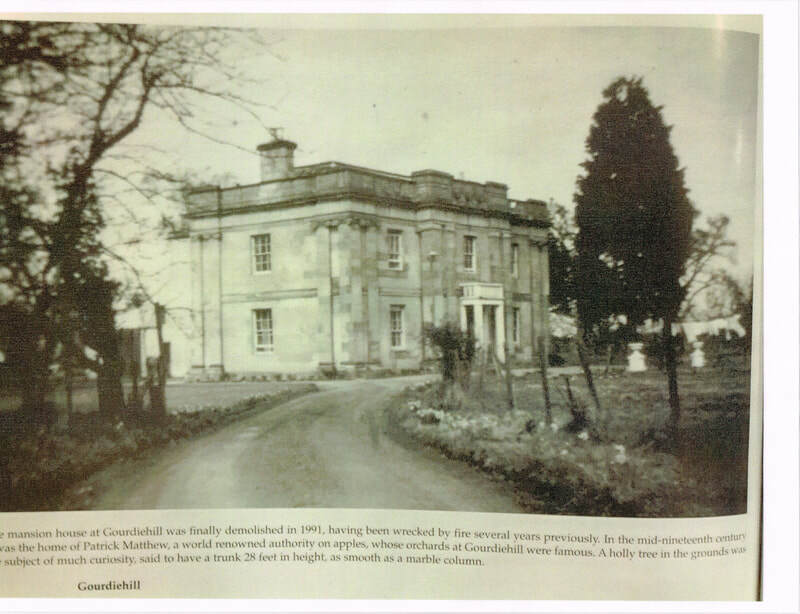 The Carse of Gowrie Sustainability Group welcomes you to Patrick Matthew’s home territory - Gourdiehill, Matthew’s home. This QR code is placed with the kind permission of landowner Mr Keir Doe and the Tay Landscape Partnership. 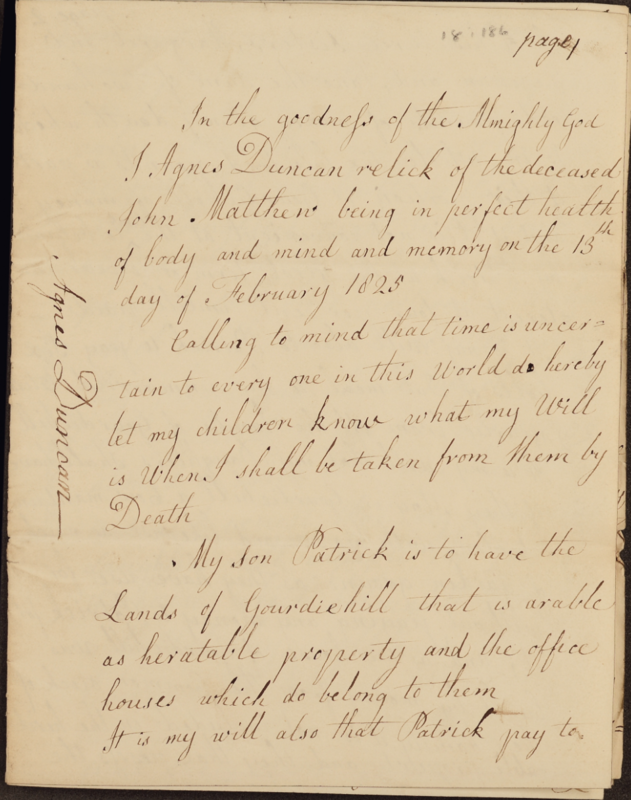 Agnes’s will outlines that “My son Patrick is to have the Lands of Gourdiehill that is arable as heritable property and the office houses which do belong to them” (PMP, 2016). Patrick was to give his three sisters £200 each in lieu (about £13,000 today). “To his unmarried sisters, Margaret and Jane, while they remain unmarried, he is to pay 6 bolls of oat meal per year, to provide a cow and garden grounds for their use, to give four firlots of fruit from the orchard per season, and to allow them a horse to travel to Perth four times a season”. In more detail Patrick got the “dining table, a dozen of the newest made chairs” and a looking glass. The rest of the furniture went to the unmarried daughters. Agnes clearly states that any family arguments regarding her ‘will’ were to be handled by Capt. 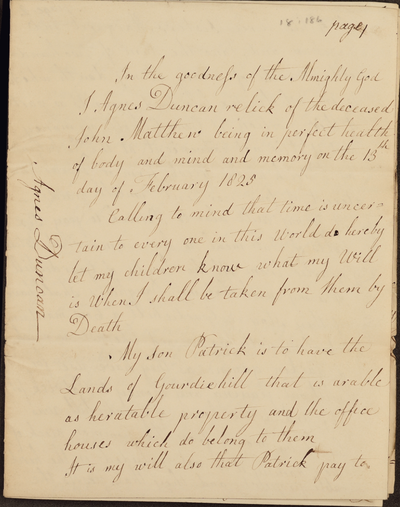 John Gardiner and his brother James. During Patrick’s lifetime he created the largest orchard on record in the Carse of 10.000 trees, making it one of the largest in Scotland, and one original tree still exists. He was a prolific farmer, traveller originator of the process of natural selection, years before Darwin so much as put pen to private paper (1837 – 38 Zoonomia Notebook) and 27 years before Darwin and Wallace replicated his breakthrough in their Lineaan Society papers of 1858, which were followed by publication of Darwin’s Origin of Species in 1859. Yet Matthew struggled to gain recognition for this original achievement and still does today. However, he was simply a man ahead of his time. 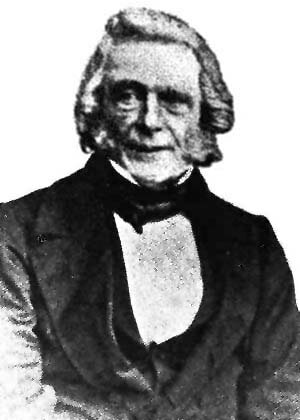 The Patrick Matthew Memorial Weekend project seeks to promote his legacy as an immortal great thinker and discoverer Science. The fact that the scientific establishment did not accept Matthew’s contribution, did not deter him and he had several communications with Darwin. Matthew wrote to Darwin just three years after Darwin published the ‘Origin of Species. (see Fig 2). He talks about the fact that whilst in London he failed visited Darwin due to Darwin’s ill health and goes on to say that his interest in ‘natural selection’ had moved to feeding this British Empire was of ‘the highest importance’. After Matthew died in 1874, the same storm which saw the Tay Rail Bridge collapse in Dundee, destroyed the 10,000 tree orchard and with no family member in Scotland to take over the farm, Gourdiehill House and Estate fell into disrepair. Since March 2015, the Junior Carsonians undertook research into the following aspects of Patrick Matthew’s, life and his descendants. 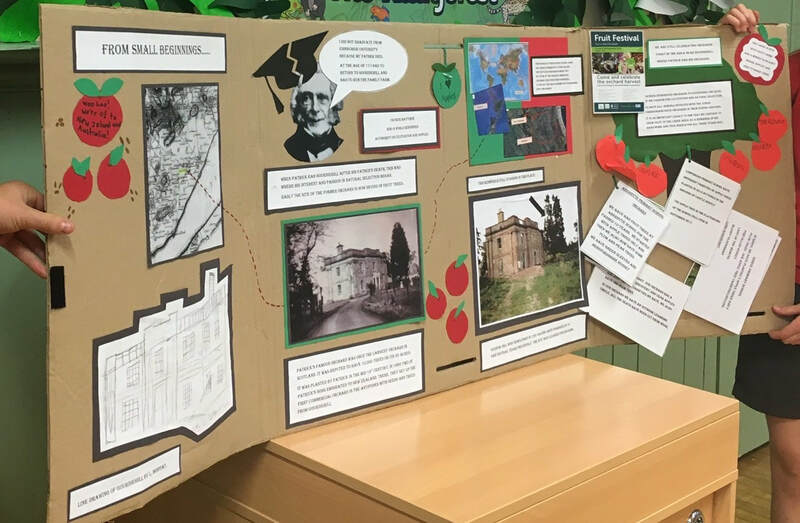 Although given their area through discussion, the response is very much of their own making, with support by staff in the schools and sources provided by members of the Carse of Gowrie Sustainability Group. They also were able to access information from members of their local community. All of the work undertaken by the JCs is shared in a range of ways with the wider audience of their school community – displays, talks, presentations at assemblies and discussion with peers. JC’s at St Madoes Primary School took on the aspect of researching Gourdiehill House and the Orchards. They have been keen to show that the legacy of Patrick and other fruit growers is thriving in the Carse. The Gourdiehill Orchard of Patrick Matthew had 10.000 trees, which is a remarkable statistic. Great credit and thanks must be given to the JCs and staff of the six schools who have entered this project with enthusiasm and perseverance. They have undertaken work in their own time – lunch and break times as well as class time. As one member of staff told me when I met up with them at break time: –“They don’t see this as work, they love it”. Learning should be fun. When one reads the ideas and views Patrick wrote in his letters on education, it seems he perhaps shared that view. He was indeed a man both of and ahead of his time. Project was hosted by the Carse of Gowrie Sustainability Group and funded by the Heritage Lottery Fund.